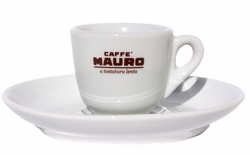 Mauro DECAFFEINATO Single-dose capsules for SEM (Systema Espresso Mauro) espresso machines. One box contains 150 coffee capsules. 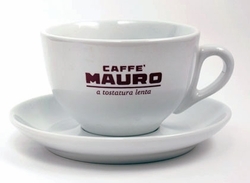 25% Arabica 75% Robusta - DECAFFEINATO Caffe Mauro coffee capsules have a full-bodied and aromatic taste that comes from a high percentage of first-class Asian Robusta balanced with the best Brazilian and South American arabica. The freshly roasted coffee beans are correctly grinded and the exact amount of coffee (6.7 gr) is inserted and correctly pressed in coffee capsules. This process is done exactly like the professional Barista does in the coffee bar. The capsules are than individually packaged in a protected atmosphere that preserves them as if they were just roasted. When brewed in the SEM espresso machine, these capsules deliver fresh Aroma and the highest quality of Italian espresso. Case with 150 capsules by 6.7 gr.